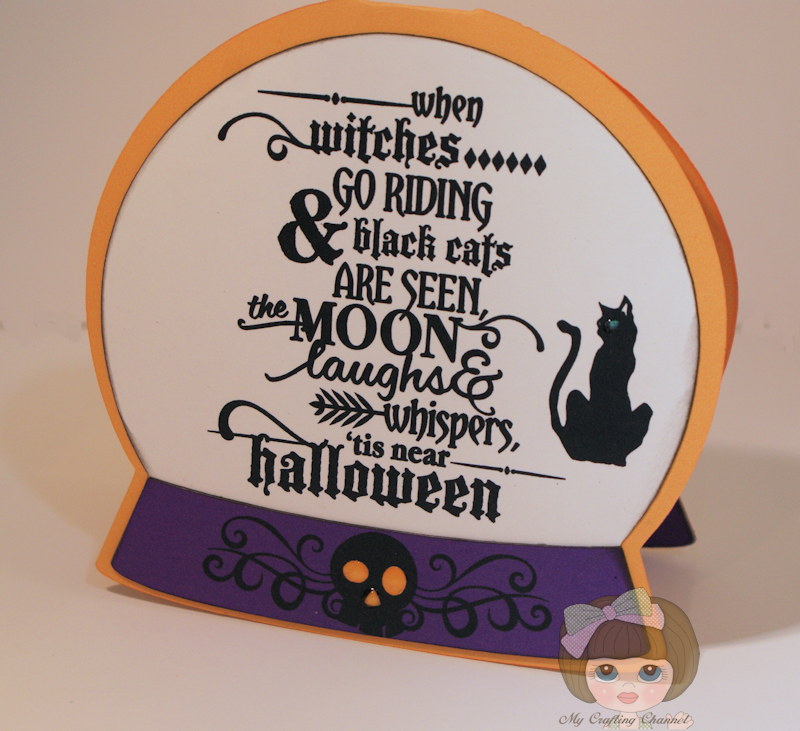 I made this adorable Halloween Globe Card. I really love the little witch and sentiment. She kind of reminds me Sabrina from the Bewitched Show. So head on over and link your projects today. WOW! What a great Halloween card! This is AMAZING!!!! I love it!! My I am off today and trying to catch up with bloggie world. OMG! I love this Halloween card! Have a great day. I am sooooo jealous!! Your cards have been to the moon and back gorgeous! You should win EVERY challenge you enter this into! How fun is this? What a great Halloween card - loving that cute little witch and the shape of your card! 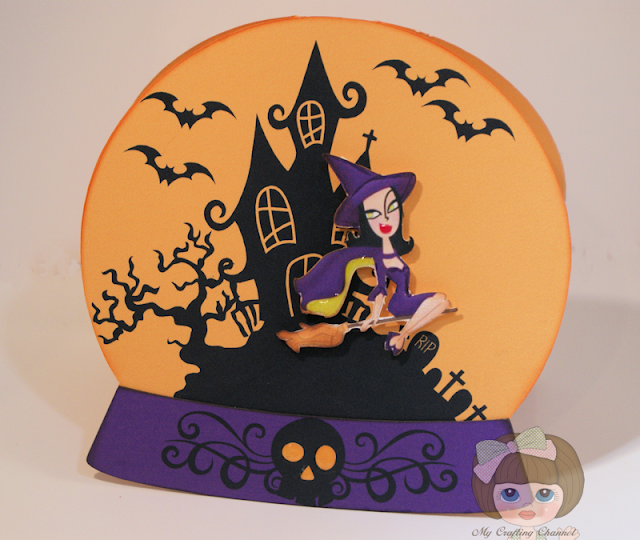 OMG, that is such a cute Halloween card! Love the cute witch!!! Oh my stars...this is down right ADORABLE! I love the globe and the witch is so fun! It does remind me of bewitch to! We use to watch that all the time:) Awesome job and love the sentiment! Oh my golly this is a fantastic card! I love the globe and yes, she certainly reminds me of Bewtiched...the wicked cousin with the dark hair. Adorable card and the sentiment is awesome as well. I spotted this linked up at Craftin Desert Diva's and had to come get a better look! When I first saw this, I thought of Bewitched, too!! So, so fun!! I just love this!! And that's one of my favorite Halloween sentiments!! Oh, how cute. Love the whole thing and Yes it reminds me of the TV show. Thanks for joining us this week at HIMCR. Thanks for playing along with us this month. Your card is fabulous! This is so cute! Thanks for playing at HIMCR. Love that sentiment. Thank you so much for joining us at Craftin Desert Divas “Anything With A Senitment“ Linky Party.